Our history starts in 1963 when Ramón Manzana, farmer and picker, realised that the shears to pick citrus fruits that both himself and his colleagues were using, were not the most suitable to perform a good job. His entrepreneur character led him to manufacture with his hands and in a complete artisan way his first shears. 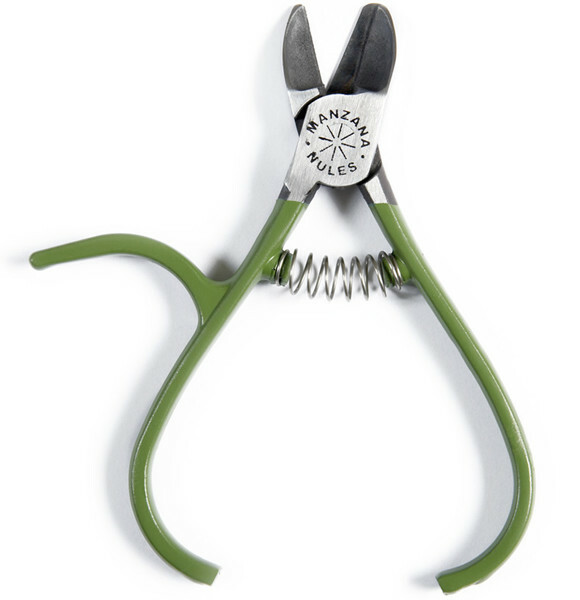 This first shears was welcomed with enthusiasm by all his colleagues who asked him to make some the same for them, therefore marking the guidelines of what later on would be the company’s trademark: The development and manufacture of shears for the picking of fruit that would fully satisfy their users. At the beginning, Ramón Manzana combines the picking with the manufacturing. A few years later he had to stop his farming works, due to the great demand of shears from the professional users. One of the greatest moment of our company was in 1987 when our model M 87- DI was patented, known mainly by our pickers as the NULES SHEARS. This shear revolutionised the citrus fruit sector and made us the leading brand in the market. Today this model is still our flagship product and is regarded and recognised by many pickers. Our interest for marketing high-quality products that provide solutions to the market needs, led us in 1995 to develop the first shears with curved blades. A new step was given in the manufacturing philosophy, by pooling together a comfortable tool for the picker with the need of reducing the damages caused to the fruit during the picking process. With it, we managed for citrus fruit producers to achieve a reduction of the fruit waste. In the year 2000, Ramón Manzana passed on the management of the company to his children to who he had inculcated the passion for this work since they were small. From the beginning they knew that they wanted to continue growing the legacy left to them by their father, and this led them to create new models and to start the internationalisation process of the company, where the quality of the product and the advantages it offers has enabled them to introduce their citrus fruit harvesting shears in more than 10 countries. Furthermore, they have also focused on research of other crops and this has resulted in the creation of specific shears for apples and persimmons harvesting, which are fruits with a very delicate skin and where the quality and characteristics of our shear are key for an efficient picking and with low damage levels, Some of the most important companies in the sector have collaborated with us to design them, as they have transferred to us their concerns and experiences. As a result of this collaboration, in the past few years, we have marketed a significant amount of shears for the picking of citrus fruits, each of which intends to solve specific problems of each sector, which have been extremely well received. We have recently collaborated with the Valencian Institute for Agricultural Research (IVIA), an official body known worldwide, on a study to know the different degree of improvement in the damage caused by the use of an appropriate citrus fruit harvesting shear. Our desire of continuously improving has also led us to investigate and develop shears with a greater performance for the picker. Proof of it is our range of adjustable scissors or shears. With this system, we achieve eliminating one of the major problems that pickers had to face, such as the play suffered by tools due to intensive use. With this new system, the picker can eliminate it with a quarter turn of the nut, thus achieving a totally adjusted tool ready to continue working with the utmost precision. At Ramón Manzana S.L., we continue investigating, testing and developing new products that make the future of professional harvesting more productive.